Are you looking for a fun summer camp to keep your child busy over the Summer? 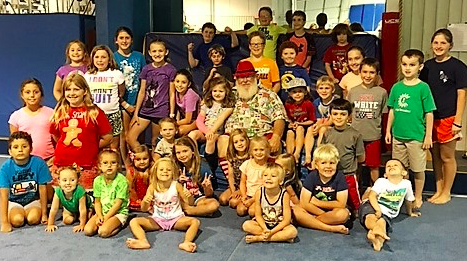 CCG offers an amazing camp that combines gymnastics, arts and crafts, games, field trips, and fun weekly themed activities. Summer camp begins June 10th and runs through August 23rd. Create the summer camp that best fits your schedule with our flexible scheduling including half day and full day camps. Full day campers bring a lunch and take a daily field trip.